alessi natalino santa with tree scene figurine - amgi11. amgi11 natalino - christmas figurine collectable decoration set. alessi figures and christmas ornaments. alessi, italy. 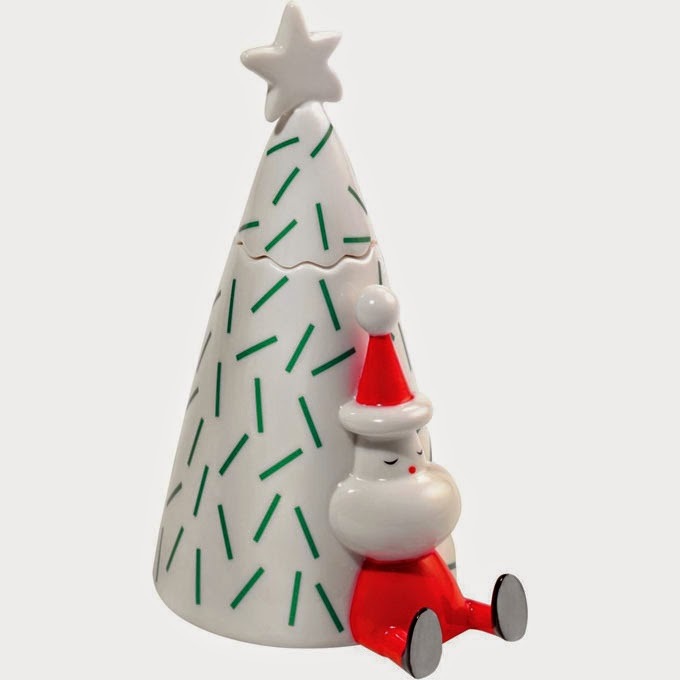 alessi natalino decorated porcelain santa claus figurine with decorated white tree with star. the natalino figurine is a contemporary holiday candle holder with a removable top that doubles as a candle snuffer. when a candle is lit, santa appears to take a nap under a star! 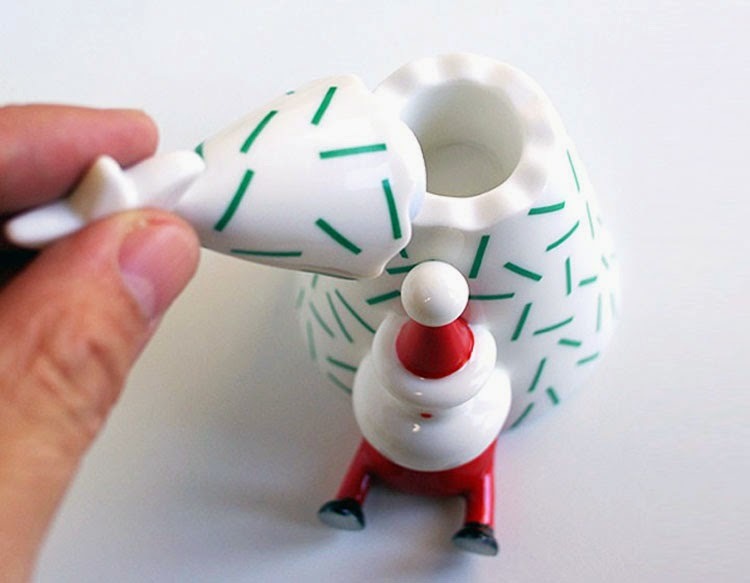 a clever and fun piece of holiday decor. alessi amgi11 natalino - christmas figurine. design by lpwk and massimo giacon for alessi italy. by alessi. combining two great traditions, santa and tree, lpwk and massimo giacon introduce the natalino santa figurine made in porcelain. after a long night of delivering gifts, santa takes a quick nap against the christmas tree, creating a flawless decorative piece for your kitchen, living room and even as a christmas dinner centerpiece - the possibilities are endless! product features: made of porcelain with removable top. hand-decorated. made in italy.